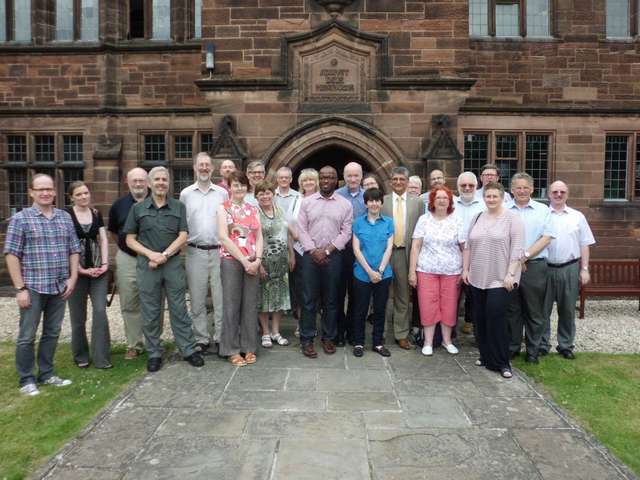 Strategic development for IUCr Journals was explored by senior academic editors and technical staff in a two-day meeting in the historic setting of Gladstone's Library. This is a residential library and study centre established as a National Memorial to the 'Grand Old Man', Britain's 19th-century statesman and Prime Minister, William Ewart Gladstone. Sean Conway, Lisa Stephenson, Howard Einspahr, Mitchell Guss, Brian McMahon, Tony Weight, Nicola Ashcroft, Simon Billinge, Sine Larsen, Bill Hunter, Andrea Sharpe, Jonathan Agbenyega, Peter Strickland, Gillian Holmes (obscured), Louise Jones, Samar Hasnain, Helen Stoeckli-Evans (obscured), Matthias Weil, Lorraine Rathbone, Sandy Blake, Luc Van Meervelt, Jill Bradshaw, Michael Dacombe, Tony Linden.